The Yellowstone Art Museum is a unique and important visual arts center for Montana and the surrounding region. Founded in 1964, it has now expanded to two publicly accessible buildings; the main building which hosts the museum's galleries and the Visible Vault; a publicly accessible art storage facility. The Visible Vault is one of only a handful of its kind in the country. Guests can observe art collection, storage, and preservation as it happens. In 1984, with a grant from the Montana Coal Tax Fund and generous donations from private individuals, the Yellowstone Art Museum began to build a permanent collection of significant contemporary art of the region. The 'Montana Collection' represents the preservation of Western art relevant to today's West, and constitutes a living artistic heritage. By 1991 there were 609 objects in the collection. Today there are over 7,300, exceeding all expectations for growth and popularity. Major gifts from the estates of three prominent artists contributed in tripling the size of the collection from 1991 to 1992. Additionally, the addition of the Virginia Snook Collection, the largest public gathering of the drawings, paintings, books, and memorabilia of cowboy illustrator Will James (1892-1942), has given the museum's collection another public dimension. The Snook Collection also includes paintings and drawings by other historic regional artists including J.H. Sharp, Charles M. Russell, and others. The expanded museum provides the physical space to present this artistic continuum to residents and tourists alike. The beautiful buildings which house Montana's finest collection of contemporary regional art is also available to house your party. If you're planning a convention, meeting, wedding reception, or just gathering with friends, we have the space to suite your needs. A favorite local hot-spot for lunch is located inside the museum. Raven's Cafe d'Art is open for lunch Tuesdays through Fridays from 11:00am to 2:00pm. 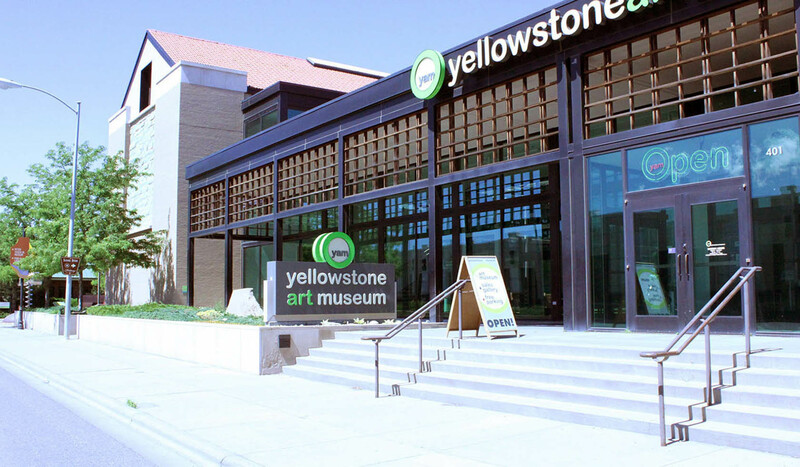 The Yellowstone Art Museum is located off Interstate 90. At the 27th Street interchange, proceed north to 4th Avenue North. The museum is on the corner of 4th Avenue and North 27th Street, across from the Gazette building and next to Denny’s.The Yellowstone Art Museum is located off Interstate 90. At the 27th Street interchange, proceed north to 4th Avenue North. The museum is on the corner of 4th Avenue and North 27th Street, across from the Gazette building and next to Denny’s.